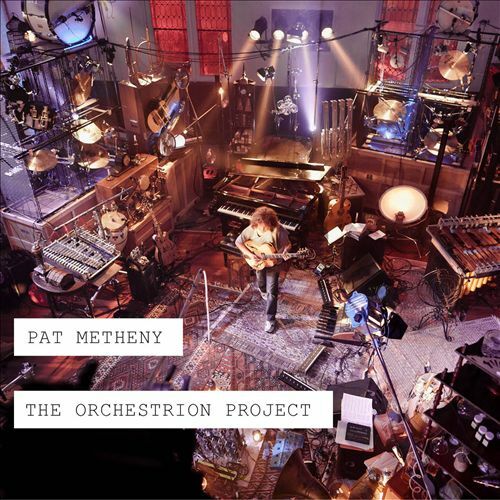 In 2010 jazz guitarist Metheny released the album Orchestrion and proceeded to tour on the concept. And what a concept it was. Metheny had always been fascinated by his grandfather’s player piano. Metheny had always been urged to tour solo and he figured that was a tired idea and when he eventually got around to it he wanted to do something special: compose ensemble style music and perform it solo – the ultimate player piano. Metheny proceed to create a very elaborate one man band with acoustic and acoustic-electric instruments that would be controlled using solenoids and pneumatics that Metheny could trigger in a live setting. Voila a one man ensemble. I loved that album, but unfortunately had a conflict when he performed it locally. I did get a chance to get a small taste at his Dakota show in Minneapolis this last September – he brought a small piece of the Orchestrion along for that ride. It was breathtaking to see and hear live. Fast forward a couple of years and Metheny has really mastered this “instrument.” I prefer this release over the original Orchestrion release. This album sonically sounds better that the and Metheny’s performance more at ease with the Orchestrion instrument – he is free to play. The original 5 compositions are still there – slightly revised and played more confidently. There are two new originals and the rest are drawn from Metheny’s vast repertoire – all the way back to his debut to more current tunes. If you are a fan of Metheny you will find this a great treat. If you are unfamiliar with him, this would be a great introduction. This is folk-jazz and easy listening – but not compromised. Despite being one of the most financially successful jazz artist of his era, Metheny never rests on his laurels or sells out. He is highly accessible and popular because he is a great player and great composer – but mostly because he has an extraordinary gift for melody and arrangements. Orchestrion provides the ultimate canvas for Metheny to work.